Visit three of the Loire Valley's most famous châteaux: the sophisticated Château d'Amboise, the charming Château de Chenonceau, built across the River Cher, and the majestic Château de Chambord. 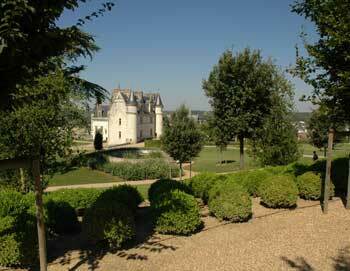 It's a beautiful back to the French Renaissance in the UNESCO protected Loire Valley. On the drive from Paris to Loire Valley, you'll get the opportunity to relax and listen to your driver and guide tell about the UNESCO protected valley. You'll arrive at the Château d'Amboise around 9:30 AM. The Château d’Amboise sits on a rocky outcrop surrounded by fortifications. In the late 15th and early 16th centuries, it was the royal residence during the reigns of Kings Charles VIII and Francis I. Here you'll get about an hour to admire the castle's wonderful collection of Gothic and Renaissance furniture, explore the royal apartments, marvel at the chapel that contains the tomb of Leonardo da Vinci and stroll through the beautiful gardens overlooking the Loire River. Château de Chenonceau, also known as the 'Ladies' Castle', was built during the 16th century and has been home to many well-known aristocratic French women, such as Diane de Poitiers and Catherine de Medici. 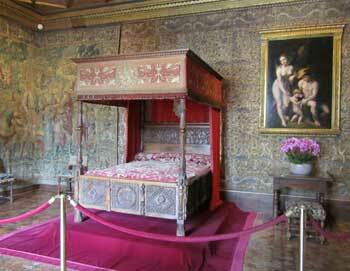 Admire the elegantly furnished floral rooms, old master paintings, and antique tapestries. Spend about an hour walking around the castle on your own as well as its grounds and pretty gardens. Next up is a lovely lunch at either the Au Gâteau Breton restaurant (during winter) or in the Orangerie glasshouse (during summer), depending on the time of year. After your lunch, your driver and guide will take you on to the Château de Chambord, the largest of all the Loire Valley châteaux. Here you'll spend approx. an hour and fifteen minutes. The châteaux was built for King Francis I of France in the 16th century with the help of none other than the great Leonardo da Vinci. You'll be back at your Paris accommodation about 6:45 PM, depending on traffic. Round trip transfer is included to/from your centrally located hotel in Paris. Please note that the postal code must begin with 75. Before you can complete your booking, you will be asked to give us the name of your hotel, so we can arrange your pick-up. After your tour is over, you'll be driven back to your hotel. The tour lasts approx. 12 hours. The tour is available in English, French, Spanish, and Portuguese. Yes, children's tickets are available for children between age 3-11. Children between under age 3 are free when accompanied by a paying adult. The tour departs Monday, Wednesday, Friday and Sunday at 6:30 AM.